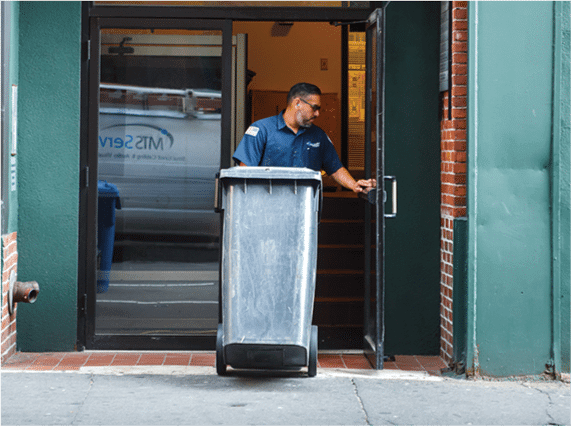 Residential shredding services in the Boston MA area. Professional shredding that comes to your home to destroy your documents. When you want the convenience of having your personal papers shredded within walking distance of your front door all you have to do is make one call to A1 DATASHRED. We come to your house or apartment with one of our industrial paper destruction trucks. All your confidential files will be securely destroyed, at your location, before our mobile shred truck leaves your Boston area residence. Get a quote today & start shredding at home tomorrow. Ordering your residential document destruction service is easy. Just give us a call to schedule an appointment. We are available five days a week to speak with you and help you through the entire process. Our friendly and knowledgeable staff will take the time to answer all your questions and explain how our services work. Together, we’ll determine how much material you have for shredding and how much it will cost. We’ll give you an on-the-spot quotation. You’ll find our prices are very reasonable with no additional costs or surcharges. If you are ready to move forward, you can book your appointment over the phone. When can I get my documents shredded? Any day you want Monday to Friday! 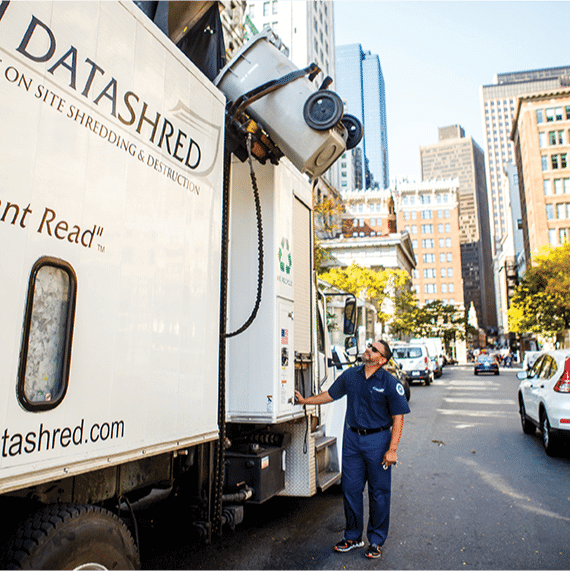 A1 DATASHRED offers next day residential shredding in Boston. We understand every person has a busy schedule and we make fitting our onsite service into your schedule easy with our five-day-a-week document destruction schedule. No need to take off a day from work. Just let us know what date is best for you. Mobile shredding means it happens at your location. Witnessing the shredding of your private records, at your home, is the only way to guarantee security and give you peace of mind. We send one of our paper destruction trucks to your home and our technician will bring one of our locking security bins to your front door. Then just show him the documents that you would like destroyed and he will transfer your files into the bin. We lock the container when transferring it to our mobile shred truck. Next, the bin is lifted into the truck and your documents are emptied directly into the shredder. Your files are destroyed beyond recognition. You can even go to the truck with our technician and watch while your documents are being shredded on a viewing screen on the side of the truck. Small businesses are the driving force of our economy and many of them operate from the owner’s homes. In addition many large companies allow their employees to work from home now. This means that home offices store many documents with private information so they need a way to dispose of them when necessary in a secure manner. When your home office is overflowing or for any occasional need our one-time service is the option that lets you call for document destruction only when you need it. If you are discarding documents often in your home office we can provide you with a secure container to deposit the papers in then we can come to your home on a regular schedule to empty and shred the files. We will work with you to set up an automatic schedule. 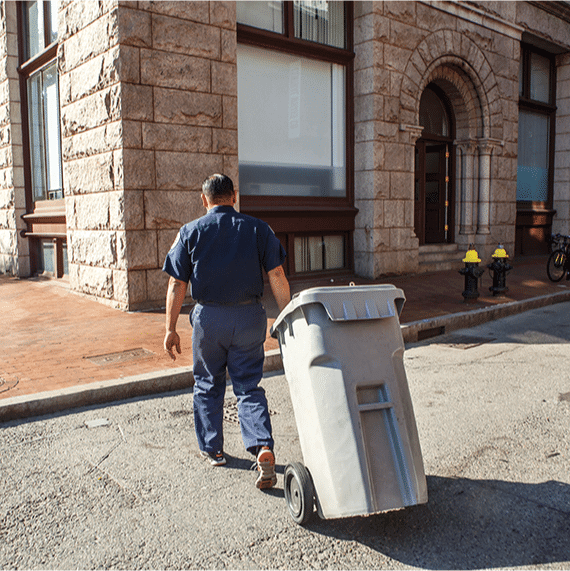 Discover how simple and secure residential shredding process is with A1 DATASHRED. Why A1 DATASHRED is your best choice for residential shredding. Next-Day Service Monday through Friday. All document s are shredded at your home. All of our staff members are uniformed, wear photo IDs, are well trained and have been extensively background checked and drug tested. We want you to be comfortable with who is coming to your home to shred your documents. Our high-tech trucks can destroy 6,000 lbs. of unwanted documents an hour. We shred in minutes what would take you hours or even days with a personal shredder. We are NAID AAA Certified. The AAA Certification means we meet the highest standards for security and service in our industry. We accept cash, checks or credit cards at the time of service.